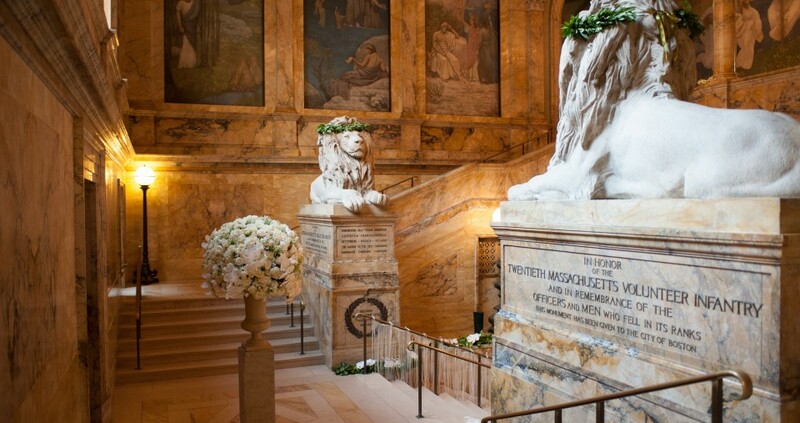 It’s one of Boston’s most historic and sought-after venues—and one of our favorites. 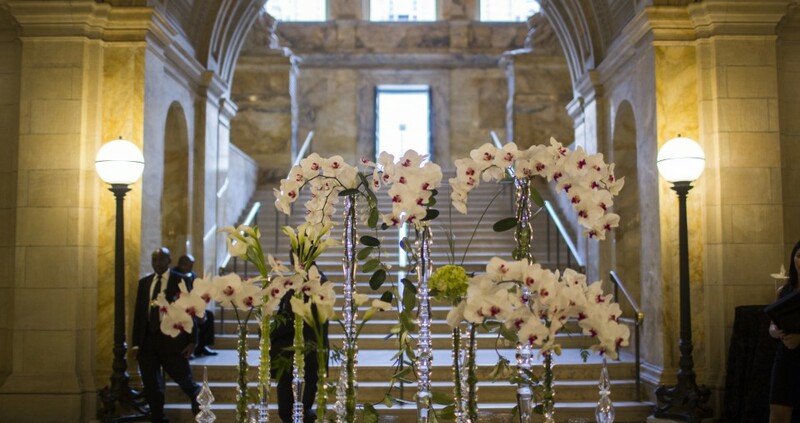 As the exclusive caterer for The Boston Public Library, we have experience with a variety of weddings and events at this gorgeous venue, and a bird’s eye view of daily goings-on from our office in the building. 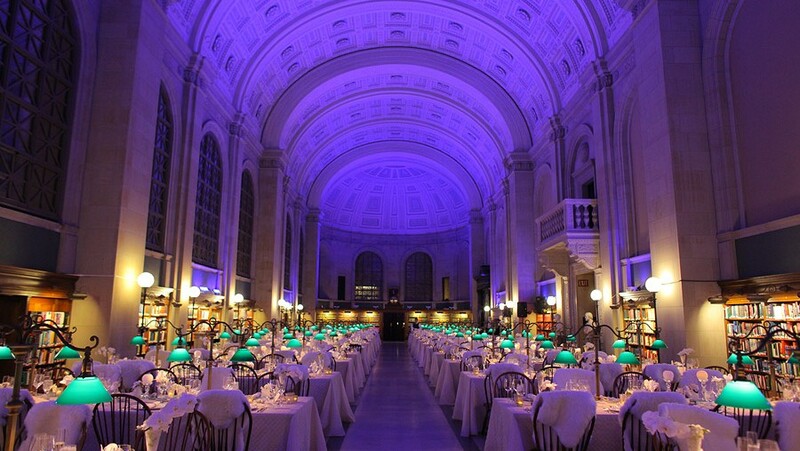 For those seeking a unique corporate event, gala or wedding venue in Boston, it’s difficult to beat The Boston Public Library. 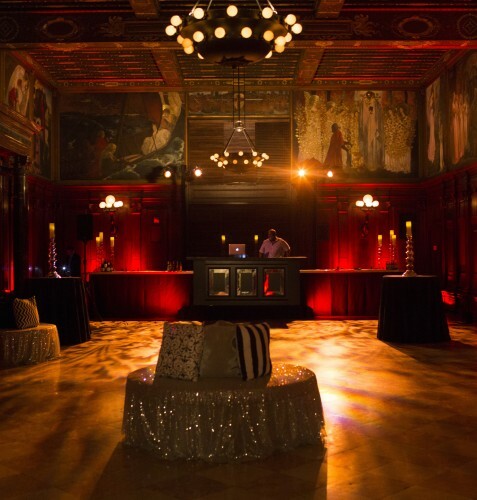 It has striking, Italian-inspired architecture, a dramatic entrance and of course, the allure of being in a library after-hours when it’s transformed for a wedding, gala or event. The Johnson Atrium: This beautiful entrance with its soaring ceilings provides a more contemporary setting for cocktail receptions. 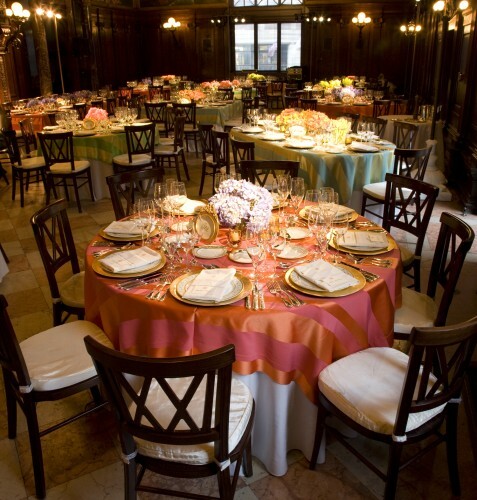 The space can accommodate up to 550 people for a reception. 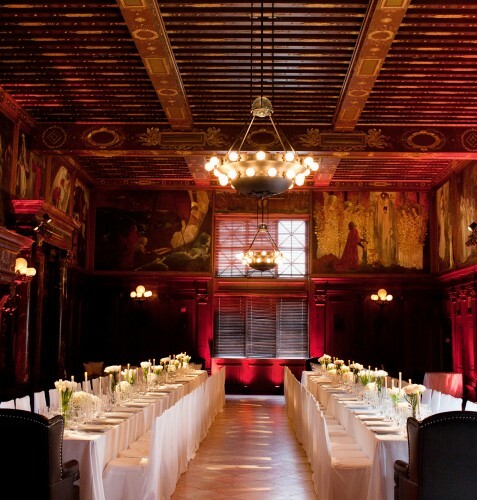 The Abbey Room: Featuring dark wood ceilings, Italian-style murals on the walls and an intimate feel, the Abbey Room is a memorable setting for smaller dinners and wedding ceremonies. Bates Hall: The quintessential library reading room, Bates Hall allows guests to dine among the stacks, at tables adorned with traditional green-shaded reading lamps. 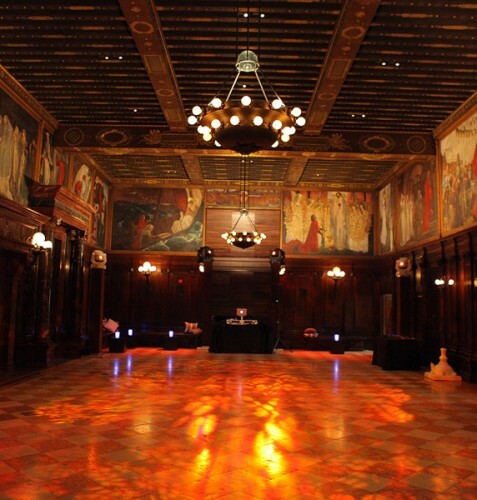 It’s a truly unique, “insider” experience for wedding and event guests and provides a dramatic visual for photos. The room also includes balcony access. 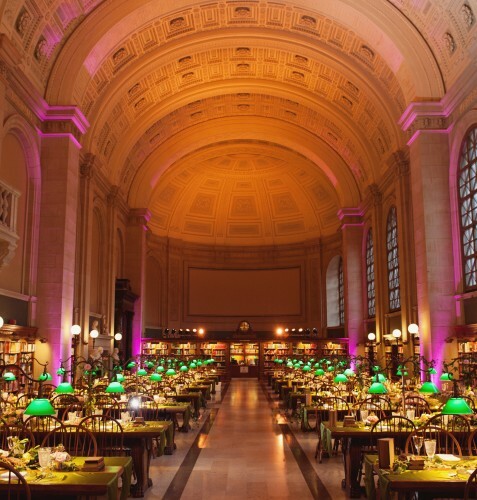 Popular Reading Room: A more contemporary and intimate alternative to Bates Hall for a dinner, the Popular Reading Room features high, arched ceilings with a neutral color palette and brick columns. Ladders lead to book collections on the upper parts of the walls, reminding guests that they’re dining and dancing in a library. 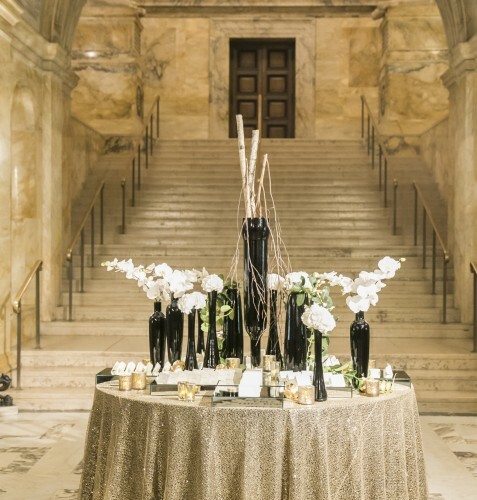 The Courtyard: A beautiful outdoor space for cocktails, photos or a wedding ceremony, the Italianate courtyard at the Boston Public Library features a dramatic fountain and marble columns. Surrounded by the library’s buildings, this space is sheltered from the city’s hustle and bustle, providing an outdoor setting in an urban location. 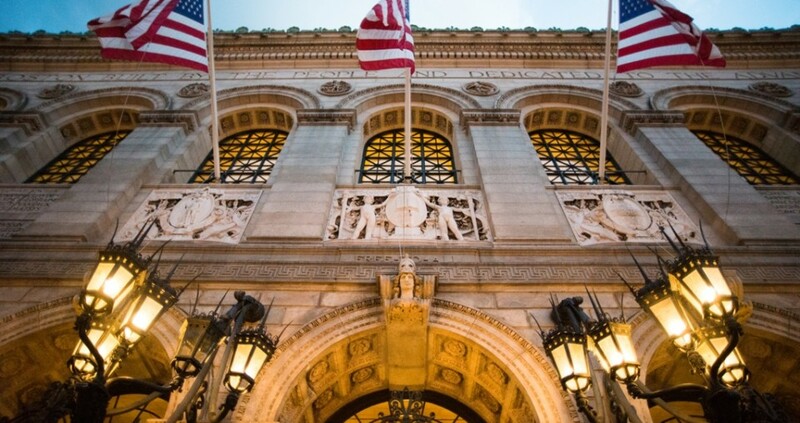 For those seeking a way to capture Boston’s history, incorporate a love of literature, or just give guests an experience they’ll never forget, the Boston Public Library is the perfect setting for a wedding, gala or corporate event.